A few days ago, I offered some thoughts about Louis M. Martini, the pioneering Napa Valley vintner. I didn’t include my favorite quote from the influential winemaker so that I could pass it along here: “Wine,” he said, “is light captured in a glass.” I suspect he was not referring only to the shimmering colors that reflect from a glass of well-made wine – I think he had a deeper understanding that he wanted to convey, something that impacts all of us who love wine. In teaching hundreds of students in wine courses for WSET (the Wine and Spirit Education Trust), the biggest “ah-ha moment” in their education is a very simple one that comes early in the learning process: everything in wine is linked, and what is in your glass is tied together by the sun. It is, quite literally, sunlight captured in a glass. What prompts the ah-ha moment for students is this: alcohol in wine is a product of fermentation: yeast consuming sugar. The reaction gives off carbon dioxide gas, a little heat and alcohol. If you have the right amount of sugar, the yeast that occurs naturally on grapes in a vineyard will consume it all, leaving you with wine containing no sugar but somewhere between 10 and 15 percent alcohol. Sunlight (along with sun warmth) is the engine that powers the creation of that sugar in the grapes as the fruit ripens and there is a crucial equation of sorts at work here: as fruit ripens, the sugar level climbs and the acidity level decreases. You can see this in every kind of fruit – if you have an under-ripe peach or strawberry in your breakfast bowl, the fruit is hard and sour – in other words, high in acid and low in sugar. If the fruit is ripe, it’s sweet and isn’t sour, though a little bit of acidity is a good thing as it balances the sweetness of the fruit. We see this at work in green vs. red apples, green vs. red tomatoes and many other fruits. I learned this lesson the hard way as a child when and friend and I climbed into a neighbor’s pear tree and started eating fruit. This was in July, when the tree was lush with leaves, but the fruit had not yet ripened. All that green fruit acid gave us a stomach ache that lasted for a couple of days and I didn’t eat a pear for several years after. It’s good to keep that concept in mind – that acid falls as sugar levels rise. And, in another part of the ah-ha moment, the amount of sugar in the grapes is in direct correlation to the amount of alcohol in the resulting wine...and the amount of sugar is determined in large part by the amount of sunlight and sun warmth the vine received during the growing season. For the big ah-ha, this is why chardonnay from warm Napa Valley is higher in alcohol than chardonnay from cool Chablis in the north of France. In class, I might pour a Rombauer chardonnay from Carneros (the region where Napa and Sonoma meet just north of San Francisco) with 14.5 percent alcohol and contrast it with a very good premier cru Chablis from, say, the Fourchaume vineyard that clocks in at 12.5 percent alcohol. The difference is all about the climate, and it impacts not just the level of alcohol but the flavors: the Chablis is all green apple and citrus fruit, but the Rombauer grapes got much riper and the aromas in the wine are reminiscent of tropical fruit like mango, banana and even pineapple. Same grape variety, but two radically different wines, all due to climate. This essential part of “Wine 101” came to mind when I had a note from a friend who is a winemaker in Germany. The vineyard regions in Germany are in the southwestern part of the country where the climate is cool – chardonnay struggles here but riesling, which likes a long but cool growing season, flourishes. At cooler temperatures, ripening takes longer so the German harvest is often a few weeks later than harvest in France or Spain and that extra time trickles down through the supply chain – German producers are sometimes a month or more later than their neighbors in getting their new wines into the market. 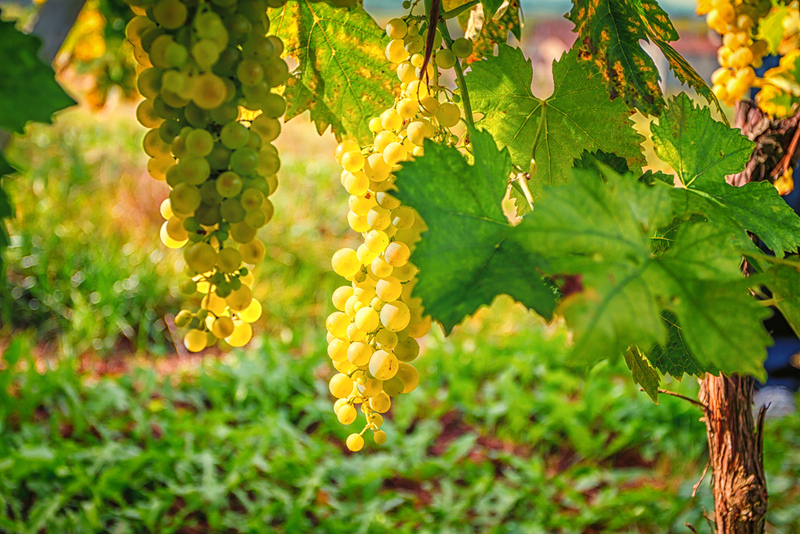 Imagine the sigh of relief, and no small amount of amazement, when the German wine industry announced earlier this week that the 2018 harvest will be the earliest harvest ever. The area called Rhinehessen, the largest of German’s wine areas, will start harvest grapes next week. Of course, an early harvest isn’t worth much if it doesn’t also have quality, but this year the weather has been very cooperative in both quality and quantity. The expectation is they will also be able to produce late harvest wines of great character because they can finish the season with plenty of sun and sufficient warmth before any frost or freezes are likely to arrive. It’s very possible we’ll start seeing bottles of 2018 Mosel and Rhine wines relatively early in 2019, and as a riesling lover, I’m looking forward to that, a little benefit in the midst of a lot of troubling news about global warming. And next time you look at a wine label and see that percentage marked "ABV" (alcohol by volume) you will now have a good idea just how ripe those grapes were when picked. Why not take a wine class and pick up all sorts of background knowledge on how and why wine tastes as it does? Join me in one of the courses I teach in Atlanta, Boston, Chicago, Miami or New York - here are some thoughts on why taking a wine class is such a good idea, and you'll find the schedule of upcoming courses here!